Fender The Fender Stratocaster Special 40th Anniversary - A. 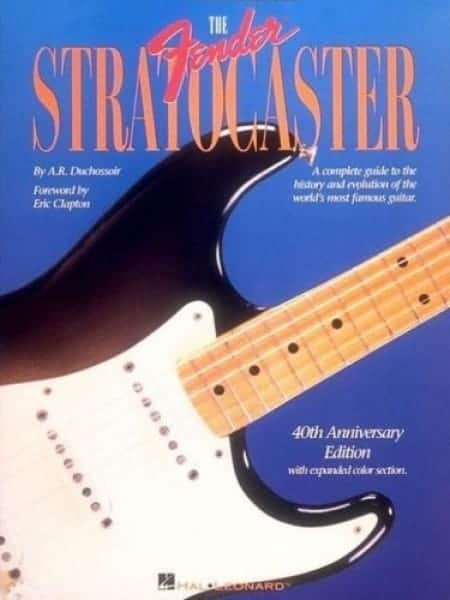 THE FENDER STRATOCASTER Special 40th Anniversary Edition By: A.R. Duchossoir Inside this new book, you’ll find everything about this American Classic: history, patents and schematics, identification tips, and more. The color section is packed with dozens of gorgeous photos including the classic models, the rare collectibles, custom shop models etc… This special edition features many up dates including new photos, original ads and famous Stratocaster artist. 9″ x 12″, 72 pages, Softbound book.